What path did you take to become Head Gardener? I’ve always worked on private estates as a gardener. Gardening involves designing, maintaining and reinvigorating the landscape – every day is different, which keeps things interesting. 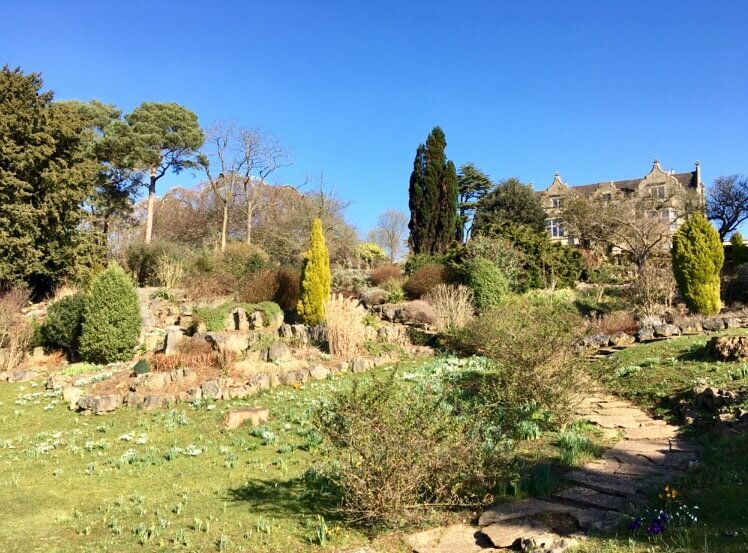 I’m born and bred in Thornbury, and have worked all over Bristol, including at Heneage Court and Barclay Castle, before moving to Old Down as a Senior Gardener, becoming Head Gardener last year. Could you tell us a bit about the Victorian Walled Garden? The walled garden is a collection of different spaces. This keeps the garden interesting for visitors, which is important as it’s usually the first spot in the park that they visit. In the greenhouse near Pet’s Corner we grow runner beans, tomatoes and leeks, before transferring them outside when they’re ready to face the British weather. The vegetable patch next to the greenhouse also contain parsnips, potatoes, carrots and other vegetables, planted in April and picked in July and August. Although they look good, they aren’t just for show – the produce gets used by the kitchen to make tasty soups and sides. The raspberries, black currents and strawberries also make tasty jam! Every June we have a pumpkin planting event, which are picked in time for Halloween in October. Next to the vegetable patch is the pergola, covered in mature roses and wisteria, which bloom in the summer months. The Peahen’s can often be found strutting along in the shade on sunny days. To the centre of the garden is the grass lawn, which serves as a beautiful setting for outdoor wedding using the delicate gazebo. The rest of the time it is open for everyone to enjoy. On the other side of the garden, the orchard is a mix of apple and pear trees that have been here for sixty years. We get a crop each year and sell these in baskets on the café counter, so you’ll have to try them for yourself! Sounds tasty! Can you tell us about the area around the yurt? To the left of the yurt we have two very active bee-hives. These were restocked with new chambers recently, and currently produce around 30 small jars of honey each year. Given the success we have had, we have three more hives on the way, to total five by year-end. We hope to be able to sell honey in the café when the time is right. The hives have been so successful due to their surroundings – the area is peaceful and packed with bluebells and two varieties of daffodils, all planted by David Banks 10 years ago. Happy bees mean more honey, it’s as simple as that. Beyond the yurt we have a duck pond and some animal pens, which were a labour of love when the owners first bought Old Down. The wood was brought in and everything built and designed in-house, which makes it unique. One of the most stunning views is from behind the Manor House looking over the lake to the Severn Bridge. 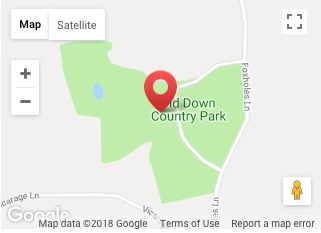 Can you tell us about this area? The Rockery has been there for as long as the Manor house itself. It is teeming with sedums, crocuses, daffodils, tulips, ornamental trees, ornamental bushes, pampas grasses and conifers. Because of the variety of vegetation, the look of the rockery changes all year round. For example, the tulips bloom in February, the daffodils in March, the sedums between April and July, the roses will be out all summer until September, and the snowdrops in December and January. Of course, the evergreens are evergreen all year round! The lake was also part of the original estate, and is around 80m by 40m, and 10 feet deep. We introduced carp last November, and might offer private fishing when the stock has matured. Finally, to the side of the manor is the rose garden, and surrounding the estate is a woodland, which is left natural, but well-kept, so visitors can enjoy a long walk along the trails.